Clique: It's a word that's spelled funny and sounds funny, and (like a vampire) can be a pain in the neck. True friends don't make you feel left out, but for many kids, navigating social groups is tricky (because it's cliquey), and they end up feeling excluded. 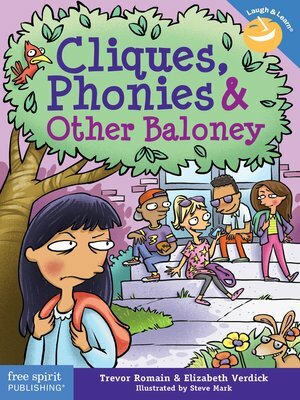 This book uses humor, fun cartoons, and kid-friendly language to explain what cliques are, why being phony is baloney, why true friends don't exclude others online or in real life, what's more important than popularity—and how to navigate it all. The updated edition addresses online socializing and social media.